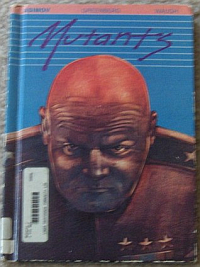 I always loved reading science fiction books for kids, even as an adult. There is just something about the sci-fi world that is out of reach, yet something that could actually happen many years from now that brings our imagination to new heights and makes it wander to other times and places. 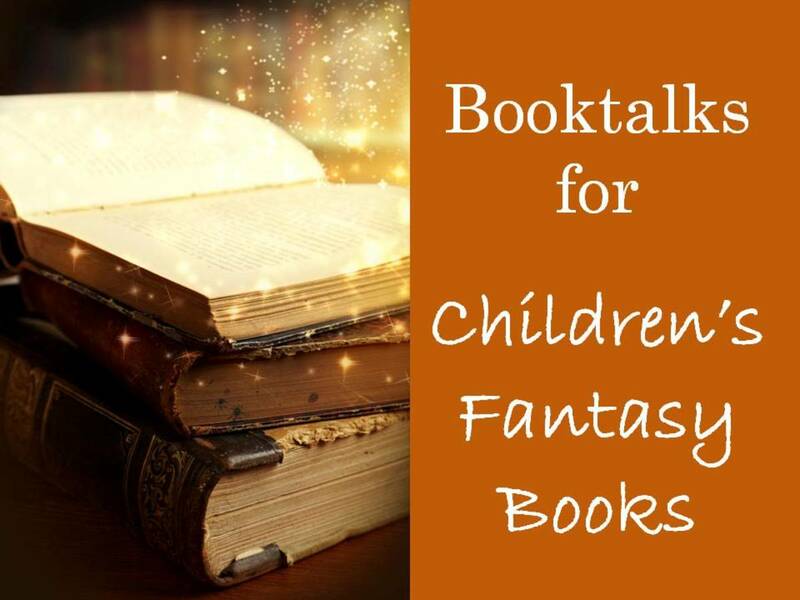 Fantasy and sci-fi books are some of kids favorite types of books, and with good reason. In fact science fiction is quite the perfect genre for kids to read and get immersed into every day. When we talk about sci-fi books for kids, we usually also mean books that teens can easily read, so the list below will include books written specifically for children of all ages, including teens. 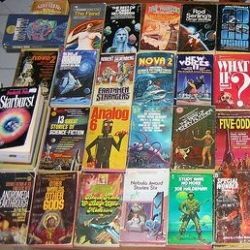 And of course, as I mentioned above, adults will enjoy most of these books as well, especially if science fiction is a favorite reading genre overall. Have fun browsing and if you have some other science fiction favorites that I haven't mentioned in the list below, feel free to leave me a comment in the Guestbook section, which is open for commenting for everyone, not only people who have a Squidoo account. 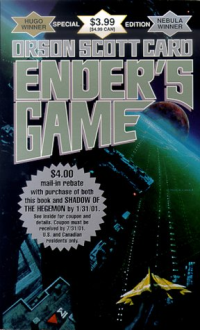 Some people consider Ender's Game to be fantasy, and I tend to agree with them. But I think this entire saga is also a typical sci-fi book. And it's one of my most favorites of all times, especially the very first novel in the series, Ender's Game. In addition it is one of the greatest scince fiction books for children of all ages, since even the main theme of the book is all about kids. Talented kids (among them Andrew "Ender" Wiggin, the main 'hero' of the series) who have to save their own planet. Some of the main themes that make it a real sci-fi novel are the fact that it all happens on a far away planet, with the only 'monsters' being aliens, and not some mythical creatures (which would put it more in the lines of fantasy novels). Futhermore science is heavily involved here with genetic experiments, tests with mock battles in zero gravity settings, and lots of technology involved. I highly recommend this series, and particular the first book, to any kid who wants to read some new sci-fi books and hasn't gotten to this saga yet. The perfect gift for a sci-fi loving kid or teen. It has the first 4 books, which personally I find the best of the entire series anyway. And if he or she likes the series, you can always get them the next books once they've read this 'box'. This is another great science fiction book for children that I can highly recommend. 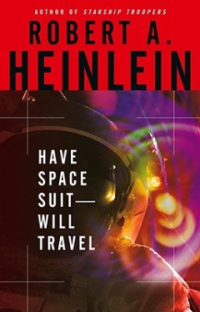 Actually I do recommend all Robert Heinlein's books, they're all great. The story evolves around Kip Russel, a teenager who is dreaming of going to the moon. There are various options to get there, which all fail him, until a particular slogan contest which earns Kip the third place - which means going finally to the moon in a real space suit. Of course, as it turns out, nothing is as easy as it seems even for Kip, who has to support himself through school to earn his way to the moon, but he is a determined kid who is engaged in a soap company contest, is kidnapped by aliens, gets sent to the moon (finally! ), but the adventures don't stop there. It's a really fun book to read, a true classic sci-fi novel for kids who dream of traveling to the moon and other far away places. Highly recommended! 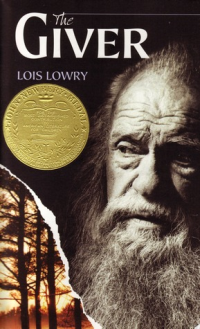 Not everyone is familiar with The Giver, but I'm glad to see that this author is getting more and more recognition. The book was first published in 1993, and it's a true classic science fiction book for children ages 8 and up. The story is about a boy called Jonas who lives in the perfect world with no pain, no emotions, no wars, basically no individuality of the members at all. It is a real utopia where he lives until he is chosen by The Giver as his successor. This means he will finally get to have the memories of the past, with all the feelings and the responsibitlies attached to this honor. However the more he learns, the more he realizes that the utopia is not such a perfect world afterall. I did have a few flashes of the Stepford Wives tale throughout, and actually it's amazing how many books take that particular twist and run with it in their own ways. A fun tale that kids will enjoy and one that deserves to be better known all around. While Mutants is not a novel, but a collection of short sci-fi stories for kids, I've included it here because I think it's a wonderful read. There are several stories about mutation included, along with an introduction by Isaac Asimov. I remember reading this as a kid and the book staying with me for a long time, as I kept thinking about the stories for several years. Not quite sure why, but they did have a great impact on me at the time. I'm sure kids of all ages will love it, if they can get hold of a copy. I think right now it's only available at 3rd party sellers, but if you can get it at a good price, it's really worth it for the personal collection on the bookshelf. It is a true classic. Each story focuses on various aspects of mutations, for example one short story is about a kid who can fly as he has wings. 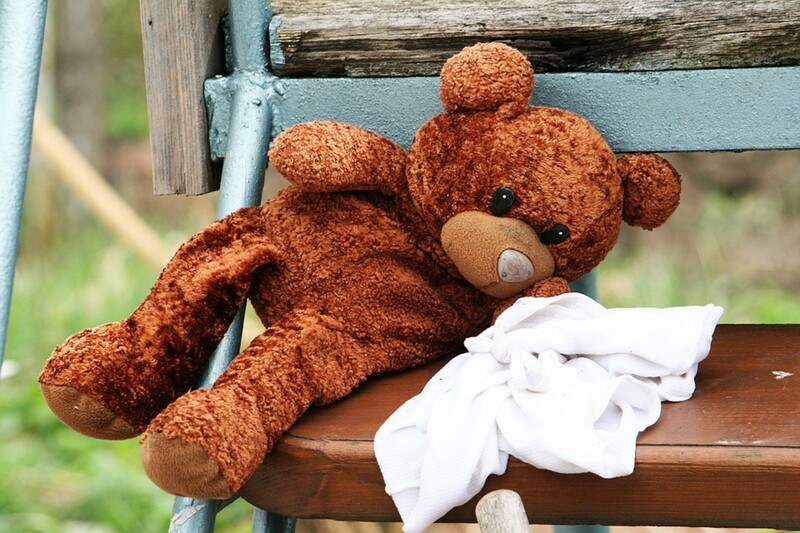 Another kid can speak a very unknown language that nobody but him can actually understand. A horse that can fly...on the ground. Kids with telekinetic and psychic abilities. And many, many more. 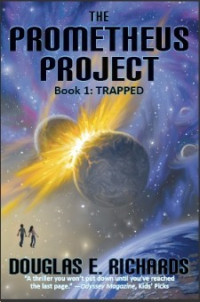 Trapped is a typical science fiction book for children to enjoy. It is actually the first of the Prometheus Project, a trilogy with 3 books under its belt. The story is about the adventures of two kids, Ryan and Regan Resnick, who discover that their parents are involved in the Prometheus Project, which is all about investigating an alien city hidden right there in their own backyard so to speak. The kids make the startling discovery when they overhear their parents talking about their job - which is far away from being as boring as it initially seems. And of course, they can't stay away, they have to see with their own eyes what the alien city actually looks like. And here is when it gets tricky and fun. It's really a great read with a fast paced storyline that will have kids and adults alike flip the pages fast to see what happens next. And once you read Trapped, you'll run to get the second and the third in the series, I can guarantee that! 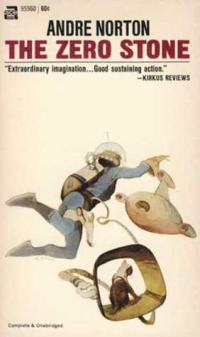 The Zero Stone is a sci-fi kids book by Andre Norton, an author who is better known for his fantasy novels. In fact his books have introduced me to the fantasy genre as a kid, and at the time I didn't know he also has some science fiction books, for kids nevertheless, such as this series of two books about the Zero Stone. The Zero Stone is a mysterious one, which literally is the key to powers that humans can only dream of. It's been many years since I've read this book and I'm not even sure if it's available in the stores. You might find it at 3rd party sellers at Amazon, for example. Basically the story evolves around a gem trader called Murdoc Jern who starts his adventures under the spell of the stone, which is in fact one that is of alien origin. Oh and there you also have Een, a mutant cat, a wonderful character that stayed with me for many years after reading the book. It is really a fun book for kids who love sci-fi and I'm sure even adults will enjoy reading it if they missed it as children. A classic space-suit adventure. 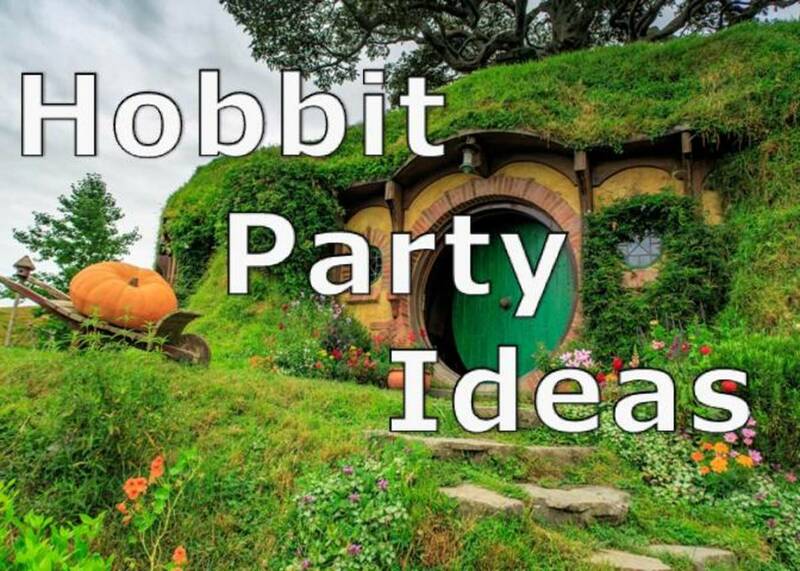 This list wouldn't be complete without mentioning the works of Terry Pratchett. While his Discworld series is his most famous work up to date, they are mostly fantasy, less sci-fi, so I'll focus on something else by him, a great science fiction series for children, the Johnny Maxwell Trilogy. 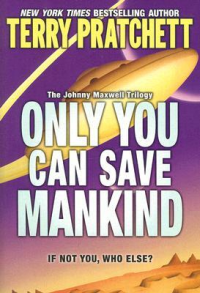 The Johnny Maxwell Trilogy includes 3 books, starting with Only You Can Save Mankind. It is a fun book that starts mundane enough: Johnny Maxwell is playing a computer game about aliens that he has to kill. But just before killing them off, a message pops up on his screen telling him that "they" wish to surrender. But who's they and why are they talking to him in the first place instead of dying as per the game script? I got first drawn into this book because of its very premise. I'm a gal (and not that young either), but I love playing computer games and I love the virtual world. But of course, the resemblance to it ended there. As it turns out, the space invaders, the aliens are all too real and Johnny Maxwell is literally the chosen one to help. The book also has some humor in it and while children will love it for what it is, adults will get something else out of it. The book will make them think, and I believe that's a good thing. If you do love Terry Pratchett for his fantasy novels, you might find this one a bit different, and maybe a bit slower paced. But stick with it, and it will be worth it. This is the first book of the popular Discworld series by this extremely popular author of fantasy novels. Indeed, this is a fantasy novel, not a sci-fi one, but it's oh so worth reading it. 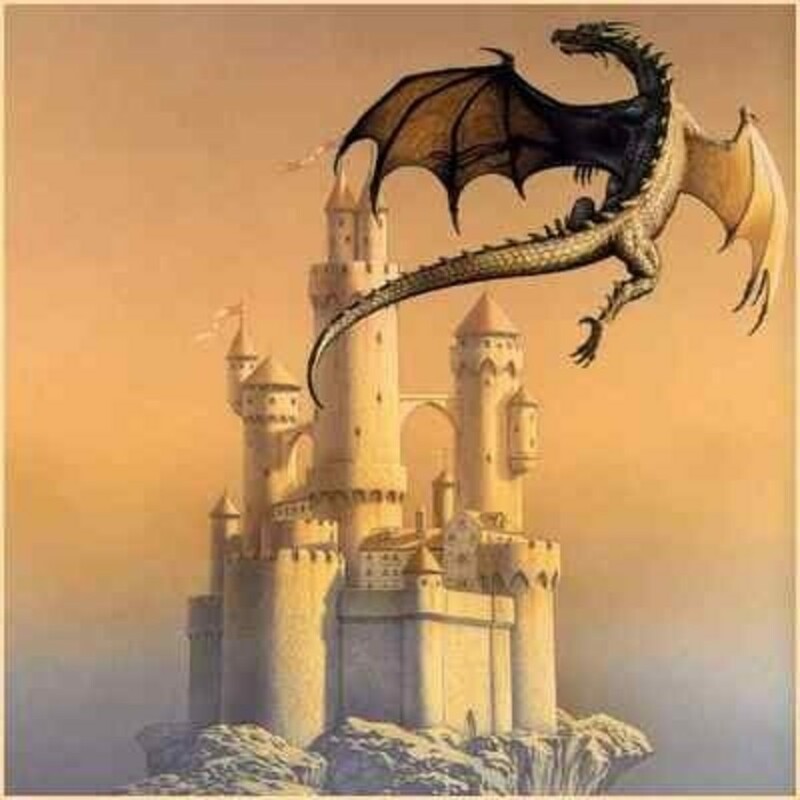 It's I think one of the best sold fantasy series to date ever since the publication of the first book, in 1992. It's simply an awesome read! Here are some more great sci-fi books for kids that I recommend. While they might not make the top 5, they are worth reading if science fiction is a genre that your children (or you) love. Which Is Your Favorite Science Fiction Book From The List Above? Do You Have Any Other Book Recommendations On Science Fiction For Kids? I loved "The Giver", as did both of my girls. Great summer reading list for the kids!